We never get tired of reading it because the message it conveys is beyond beautiful! 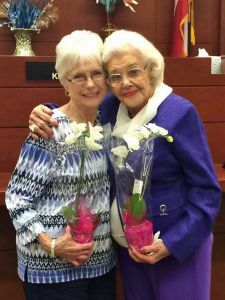 At 92 years of age, Muriel Clayton became a mother again, after adopting her 76-year-old daughter, Mary. Did you read that? At 92 years old, she adopted – – – a 76 year old daughter! Mary found herself without family at the age of 11 when her father passed away and her mom was to ill to care for her. Without hesitation, Clayton took her in and added her to her growing family. Smith has been one of her kids ever since. 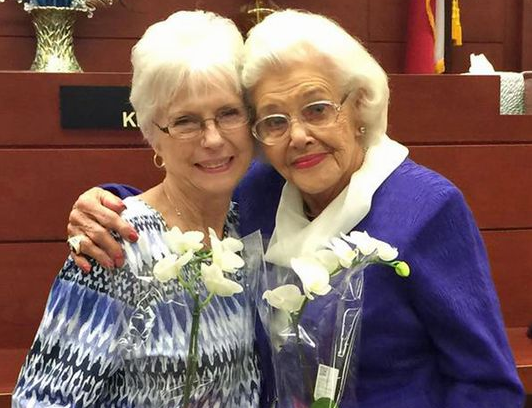 For 60 years, Clayton held the dream to make Smith a legal part of her family. Out of respect, she wouldn’t do it until Smith’s biological mother, who had been ill for years, died. Here’s a link to the news coverage and video of this precious story. We love this story because we believe the message of Connections Homes is an age-old practice that our society has lost. Muriel did what families naturally did when they had a family-member in trouble, she stepped in a became the solution. In an age where so much of true community has been lost, Connections Homes brings us back together as brothers, sisters, aunts, uncles, grandparents, moms and dads who look out for another in need and never allow someone to go through life alone. Becoming a Connections Home or a Mentor allows you to step into the story of a young adult who, like Mary, has no one to guide them and be there for them in life. It’s a beautiful thing to be the hope for someone when all other hope has been lost. It’s never too late for family.